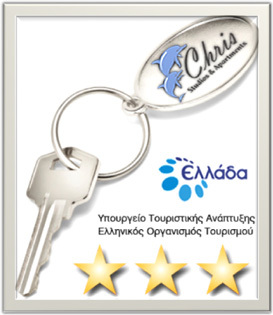 Chris Studios belong to category B' special category 3 Key's and own the special mark of E.O.T (Greek Organisation of Tourism). They're 100% conformed to the legislation regarding the provisions for studios and furnished apartments to let. There are 10 studios and apartments available. 4 Studios of 36sm consisted of kitchen, bathroom, corridor and one big bedroom. 6 Apartments of 45sm consisted of Kitchen,bathroom, corridor and one more room which can be used as a living room or a second bedroom. All the apartments have a spacious balcony which offers a spectacular view of the Corinthian Bay. 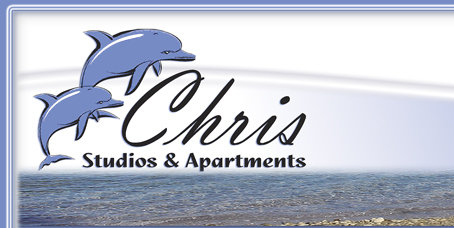 All our studios and apartments are spacious and fully equipped so that you have a comfortable stay. There are big kitchen cupboards individual Heat Boiler, Oven, Toaster, Coffee Maker, Air Condition, TV, DVD player, Safe Deposit Box, Hair Dryer. 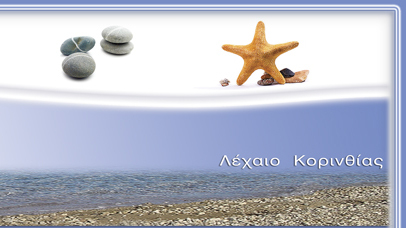 Beach: The main entrance to our apartments ans studios is only 5 meters away from the beach. Parking: There's a private parking of great capacity. Barbecue: At the back side there's a big Barbecue. External space: All the external space is comfortable with nicely attended gardens and plants and offers protection and safety to young children's playing.